HBO’s series adaptation of George R.R. Martin’s A Song of Ice and Fire series, the ubiquitous Game of Thrones, is one of the most-watched, most expensive and most acclaimed television shows ever produced. It’s won a whopping 47 Emmys (and a lone Golden Globe, oddly) since its 2011 debut, broaching rarified air with a third Outstanding Drama Series win in 2018. But it’s also had a significant, more difficult to quantify impact on television at large, bringing fantasy into the mainstream and rewriting the rules of appointment-viewing prestige TV by killing off even its most beloved characters, going all in on moral complexity and jaw-dropping spectacle, and stoking tinfoil-hat conjecture and water-cooler talk alike. All of this pop-cultural cachet adds up to a wildly anticipated final season of the show, revealed this week to be coming to HBO in April 2019. Ahead of Game of Thrones’ grand finale, it’s time we took stock of everything we know about the series’ epic conclusion. Game of Thrones season eight premieres on HBO in April 2019, totaling six episodes. That episode count is down from seasons one through six of the show, which included 10 episodes each, and from season seven, which included, well, seven, but never fear: All six of season eight’s episodes have been described as “feature-length,” meaning the approximately 80-minute runtime of season seven finale “The Dragon and The Wolf” is the show’s new normal. An impressive group of directors including series co-creators and showrunners David Benioff and D.B. Weiss, Nutter and Miguel Sapochnik will helm season eight’s episodes, which were written by Benioff and Weiss, series mainstay Bryan Cogman and assistant-turned-staff writer Dave Hill—according to Business Insider, Hill (who, fun fact, got his job by suggesting that Olly kill Ygritte) and Cogman penned episodes one and two, respectively, while Benioff and Weiss teamed up to tackle scripts for the remaining four episodes. The duo will reportedly direct the series finale, while Sapochnik, arguably Game of Thrones’ best director—his credits include series standouts “Hardhome,” “Battle of the Bastards” and “The Winds of Winter”—is expected to handle at least two episodes, which comes as particularly exciting news after he sat out season seven. Game of Thrones will reach new budgetary heights in its final season, running an eye-popping $15 million per episode. Variety attributes the show’s astronomical price tag in part to “a shooting schedule that more resembles that of a feature film than an episodic series,” as well as to Game of Thrones’ growth into “a four-continent behemoth with multiple production units shooting at once.” The series has been an colossal boon to HBO’s bottom line, but it seems the pay-cabler is turning out its collective pockets to make season eight an ending for the ages. The real moving target in the long lead-up to Game of Thrones’ grand finale has been its timeline. After season seven premiered last July and wrapped in late-August, a 2018 return seemed to some like too much to hope for, and those hopes were indeed dashed when star Sophie Turner (Sansa Stark) revealed in a December interview that Game of Thrones would not return until 2019. HBO confirmed the season’s release year in January, but offered no further information on when exactly to expect the new episodes. Star Maisie Williams (Arya Stark) wasn’t quite as tight-lipped on those specifics, revealing to Metro in an interview published just two weeks later, “We wrap in December and we air our first episode in April .” HBO declined to comment on the revelation, but finally confirmed it just this week, officially announcing an April return for Game of Thrones and kicking its #ForTheThrone marketing campaign into high gear. Surely we can expect the new season’s first footage any day now. By far the easiest aspect of Game of Thrones’ last season to get lost in the weeds on is the story itself. This show is notorious for its cornucopia of characters (there are even more in the books! ), meaning there are a massive tapestry’s worth of plot threads to tie up in just six last episodes. Unfortunately, this all but guarantees that the show’s downward trend in terms of narrative effectiveness—due to the fact that, as Paste’s Jim Vorel wrote last August, “the show is now hurtling along at such a ridiculous pace that the writers simply can’t keep up”—will continue through its denouement. Benioff & Weiss and co. need to move quickly in order to successfully resolve the dense tangle of plot lines that is their epic saga, and that requires certain sacrifices (i.e., characterization, spatial logic and the like). Even so, this eighth season is going to be stuffed full of story: The last season’s outline alone runs a whopping 140 pages, as Benioff & Weiss revealed at 2017’s SXSW. As for what those pages contain … the old gods (and HBO, and maybe Martin) only know. Paste’s own predictions, though published in spring of 2016, get further off the mark by the day. Let’s recap the most consequential pieces on the board after season seven: First and foremost, Westeros’ biggest existential threat—the Night King and his army of undead underlings—broke through the Wall with the help of Daenerys Targaryen’s (Emilia Clarke) dragon Viserion, killed and resurrected in season seven’s epic penultimate episode, “Beyond the Wall.” The formerly fire-breathing, zombified monster, now blue-eyed, undead and at the head of the Night King’s evil army, menaces the entire continent of Westeros and its people, though the horde will have plenty of defenders to contend with, including: King in the North Jon Snow (Kit Harrington); the Mother of Dragons herself, Daenerys, along with her remaining children and Unsullied army; Sansa and Arya Stark, rulers of Winterfell; Jaime and Cersei Lannister, located comfortably far South of the enemy (and still skeptical of its danger) in King’s Landing; and more humans with a vested interest in remaining alive and maybe, just maybe, winning the Iron Throne—that is, if there are any kingdoms left to rule after the Night King comes to town. So where does all this leave us in terms of what comes next? ... Nowhere with any clarity to speak of. 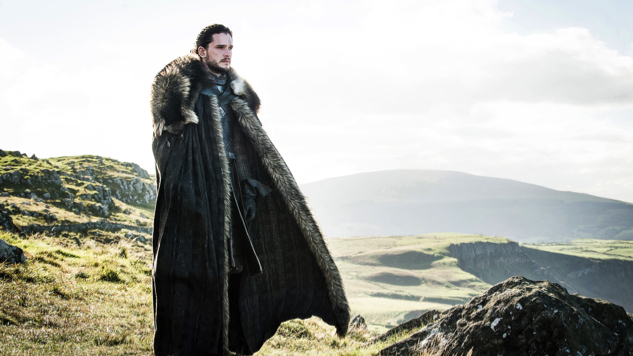 Beyond death and destruction aplenty, there’s nothing particularly predictable about the show’s endgame, and the Game of Thrones team has been exactly as tight-lipped as you’d expect. The production has gone to extreme lengths to protect the last season’s secrets, withholding physical scripts from its cast and even shooting multiple endings to stymy would-be leakers. However, we do have a couple of details and teases to help us set our expectations. Interesting also are cast reactions to the season eight scripts, through which these actors find out the ultimate fate of characters they’ve spent nearly a decade playing. It’s difficult to glean any kind of concrete detail from these responses, but they suggest, if nothing else, that the end of Game of Thrones will be impactful as all hell. Peter Dinklage , meanwhile, broke his years-long habit of checking immediately to see if Tyrion Lannister survives. “This was the first time ever that I didn’t skip to the end,” he says. And then, seated around a long table scattered with a few prop skulls, the cast read aloud the final season of Game of Thrones. At one point, [Kit] Harington wept. Later, he cried a second time. Harington later revealed to EW, “The second time was the very end,” meaning the last page of the finale’s script. “Every season, you read at the end of the last script ‘End of Season 1,’ or ‘End of Season 2. This read ‘End of Game of Thrones.’” Regardless, his tears can’t bode well for the Starks, can they? Sean Bean (the late Ned Stark) has predicted that only one of his character’s children (Arya FTW) will survive season eight’s events. The death of several of his character’s pseudo-siblings would surely be enough to move the likes of Harington to tears, no? Anyway, like Harington, HBO’s SVP of drama Francesca Orsi was also moved by that fateful table read, recalling at March’s IN-TV conference, “It was amazing. By the very end, everyone looked down and looked up and tears were in their eyes. It was a really powerful moment in our lives and our careers. None of the cast had received the scripts prior, and one by one they started falling down to their deaths.” EW’s story would appear to contradict that last script receipt detail, but there’s no debating the death detail. More than likely, the question we should all be asking is not who will die, but who, if anyone, will survive. The locus of all that death would appear to be season eight’s most-anticipated battle scene—one that, as revealed in April, took “55 straight nights” to shoot. EW describes the battle as “a confrontation with the Army of the Dead that’s expected to be the most sustained action sequence ever made for television or film,” also noting that “one episode is wall-to-wall action, courtesy of … Miguel Sapochnik.” Said Dinklage of the battle, “It’s brutal. It makes the Battle of the Bastards look like a theme park.” Consider us psyched … and afraid for just about every character’s life. Though season eight spells the end for Game of Thrones, HBO has only just begun to play in the sandbox that is Martin’s ASOIAF universe. As first reported last May, HBO started looking beyond the franchise’s flagship show quite some time ago, developing four potential spinoffs through which to continue exploring Westeros, Essos and so on. Writers Brian Helgeland (A Knight’s Tale, Mystic River), Max Borenstein (Kong: Skull Island, Fox’s Minority Report), Jane Goldman (Kingsman: The Secret Service, X-Men: First Class) and Carly Wray (Mad Men) were each revealed to be developing their own spinoff, with Martin himself attached to the Goldman and Wray projects. The author later clarified things a bit, noting what the spinoffs would and would not explore from a narrative standpoint, stressing that they were not spinoffs, per se, but rather prequels (another hint that perhaps things don’t go so well in Game of Thrones’ last season), and revealing that there was also a fifth project in the offing, which he later divulged was being worked on by Game of Thrones’ “Keeper of the Lore” and heir apparent, Cogman. It was the Goldman show, though, that landed a pilot order at HBO this summer, and that project, working-titled The Long Night, has since made ample headway in assembling its cast, enlisting Naomi Watts and Josh Whitehouse to anchor its ensemble. Rest assured we’ll continue to follow The Long Night as it comes together—for now, you can catch up on everything we know about the prequel right here. HBO shared a teaser of sorts for Game of Thrones’ final season on Thursday, Dec. 6. The minute-long clip doesn’t include any actual footage from the show’s new episodes; rather, it shows us Daenerys’ Westeros map table, on which wooden tokens represent the various warring houses. Ice overtakes the table from one end, and fire from the other, until the two meet in the middle of the continent, causing jagged, black rock—dragonglass, perhaps?—to shoot from the center of the table. See for yourself below. HBO debuted the first footage from Game of Thrones’ last season in a 2019 preview promo video that aired during the Golden Globes. Check it out below. Prior to the season three premiere of True Detective, HBO aired a new Game of Thrones clip—the first official teaser for its final season—revealing the series’ season eight premiere date: Sunday, April 14. Watch the teaser below. HBO released the full-length trailer for Game of Thrones’ grand finale on Tuesday, March 5. Watch below. Debuts Sunday, April 14. Estimated runtime: 0:54. Debuts Sunday, April 21. Estimated runtime: 0:58. Debuts Sunday, April 28. Estimated runtime: 1:22. Debuts Sunday, May 5. Estimated runtime: 1:18. Debuts Sunday, May 12. Estimated runtime: 1:20. Debuts Sunday, May 19. Estimated runtime: 1:20. Watch this space for further updates on the final season of Game of Thrones.